In 1997, Luc Besson released The Fifth Element, a visually-captivating sci-fi adventure which netted four Cesars, including Best Film and Best Director. A couple of decades later, Luc is back with Valerian and the City of a Thousand Planets, an even more innovative, outer space odyssey, if that's possible. The groundbreaking extravaganza is based on "Valerian and Laureline," a comic book series written by Pierre Christin and illustrated by Jean-Claude Mezieres. The futuristic tale is set in the 28th Century, and stars Dane DeHaan in the title role as a time/space traveling military officer for Alpha, a city with a thousand planets. Straitlaced Major Valerian patrols that universe with Laureline (Cara Delevingne), a Sergeant well-versed in virtual reality operations. 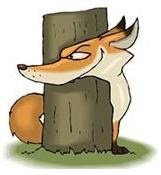 He also happens to have a crush on his relatively-rebellious sidekick, although she routinely rebuffs his romantic overtures. And they report directly to Commander Arun Filitt (Clive Owen) who, in turn, answers to General Okto Bar (Sam Spruell) as well as Alpha's Minister of Defense (Herbie Hancock). The film unfolds on Mul, a utopian paradise inhabited by a peaceful species of bald, bejeweled, barely-clothed creatures. It isn't long before their carefree frolicking is irreversibly disrupted by an unprovoked attack on the planet by an unknown army of hostile aliens. The picture abruptly shifts from this devastating apocalypse to a serene scenario worlds away where we find Valerian and Laureline relaxing on a sandbar and soaking up rays. He awakens from a bad dream, a subtle suggestion that everything that we've just witnessed might've merely been a figment of his imagination. It would be criminal for me to spoil your cinematic experience by divulging any further developments. Suffice to say that the protagonists proceed to embark on a breathtaking, intergalactic roller coaster ride worth way more than the price of admission. Along the way, they cross paths with an array of colorful characters ranging from a space age pimp (Ethan Hawke) to a solicitous stripper with a heart of gold (Rihanna). But people mostly serve as distracting interruptions in this eye-popping, special f/x-driven spectacular to remember. All I can say after watching it is, "Wow!" 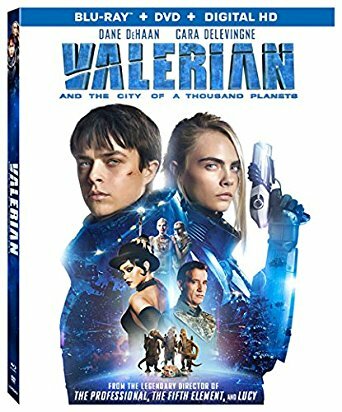 Blu-ray/DVD Combo Pack Extras: Citizens of Imagination: Creating the Universe of Valerian (a multi-part documentary); Enhancement Pods; The Art of Valerian Photo Gallery; teaser trailer; and the final trailer.